What is the stoutest tree in the world? 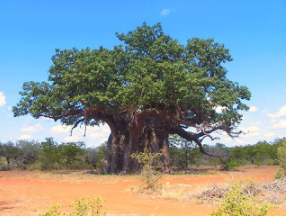 Well it used to be the African Baobab “Adansonia digitia: 15.9 cm (52 ft.), Glecoa Baobab which as measured near the ground and is located in Limpopo Province, South Africa. Unfortunately the tree split up in November 2009.